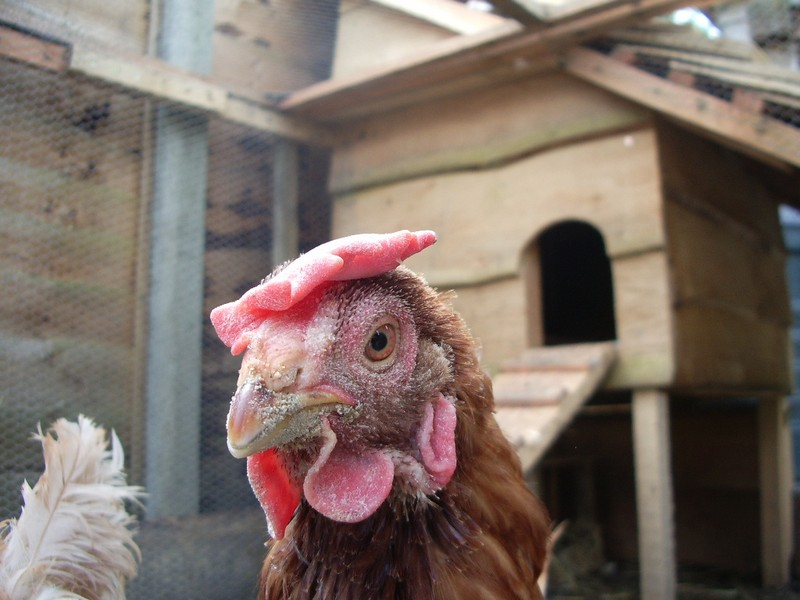 I have strong animal welfare principles and believe that chickens and pigs have the toughest time in conventional agriculture so all our animals are kept in enriched environments mimicking their natural habitat as much as possible. 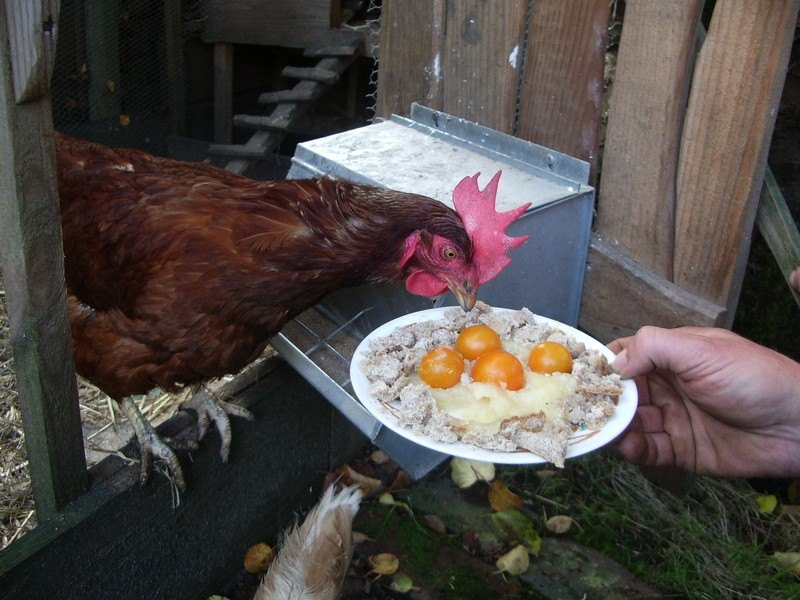 This enables them to express their instinctive behaviour and maximise their happiness and wellbeing producing high quality eggs and meat. 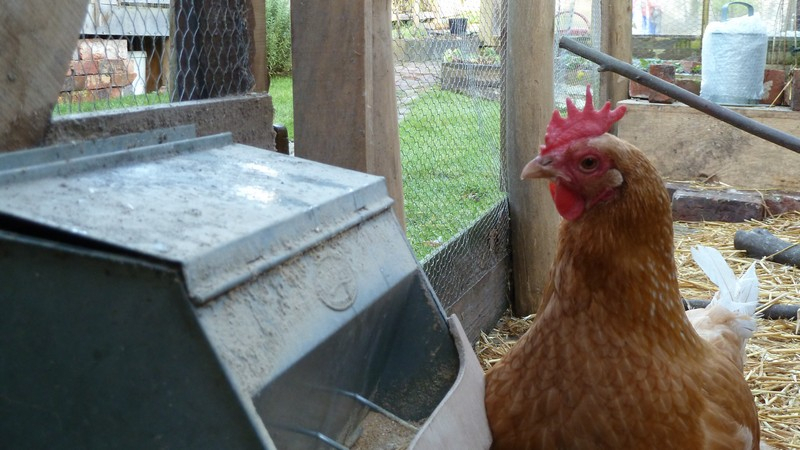 Due to the lack of space in our garden we decided to get ex battery hens knowing that despite the fact they were kept in a run of only 6m² this is a vast improvement on the small bare cage they spent the first year of their lives in. We kept 3 hens which provided eggs all year round. Their run was totally fox proof so they had no fear of predation, they could scratch about in the straw, take a dust bath and sunbathe at will. They were fed greens from the garden each day including grass, fat hen and lettuce, and as many slugs as we could find! 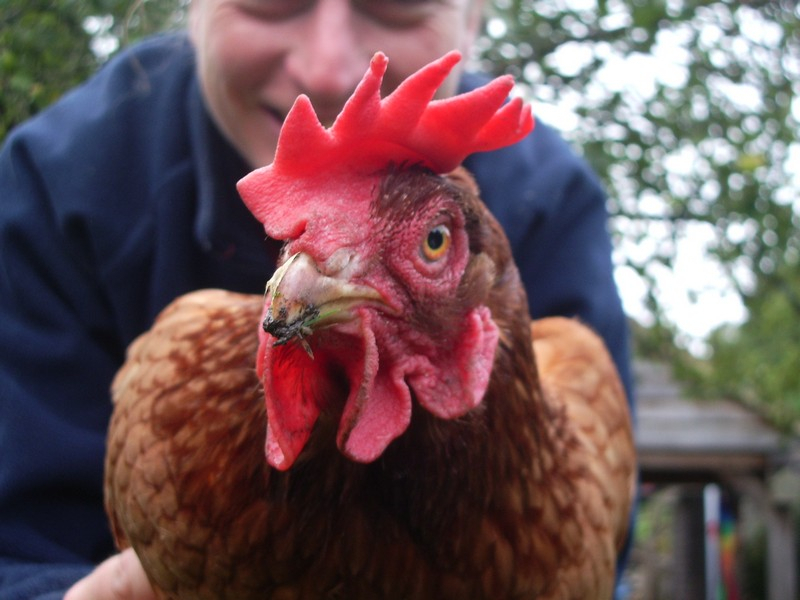 Our chickens moved house with us initially to a friend’s smallholding where they are now happily looked after by a very caring cockerel! 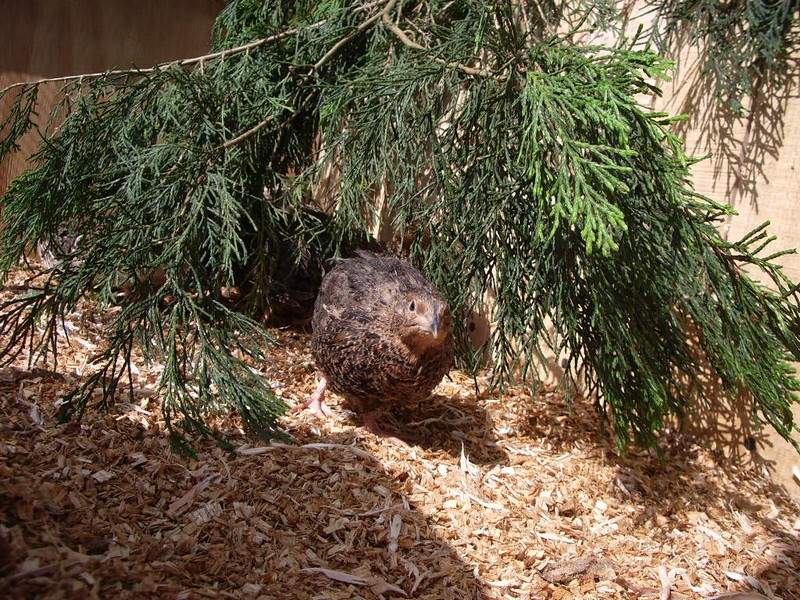 I decided to keep quail in order to swap their eggs for produce we can’t grow such as lemons and ginger in the local veg shop. They then sold the eggs on individually and unpackaged which especially suits some elderly people who just want a couple at a time. 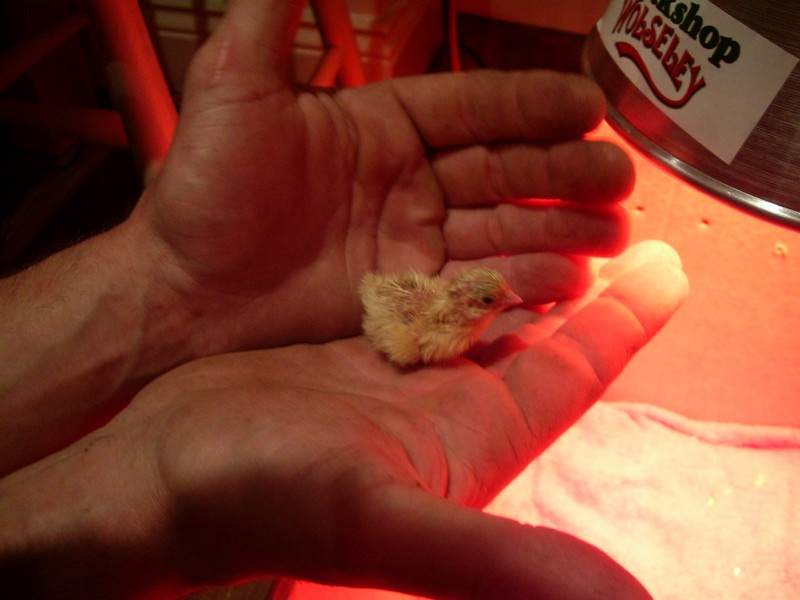 I started by constructing an incubator from a box, a solar fan and a lightbulb and managed to hatch out a couple of chicks. I designed an aviary for them over three levels with room to fly, a straw filled house for shelter, branches and grasses for cover and a large dust bathing area. 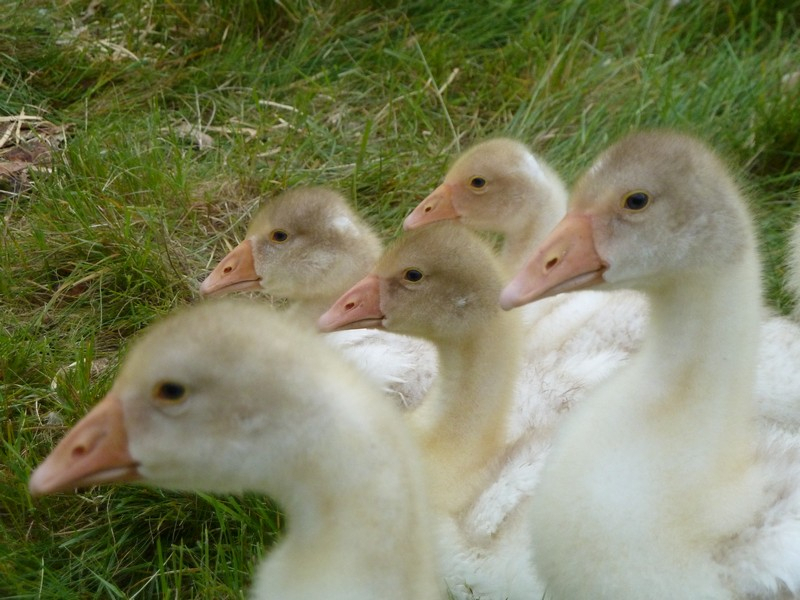 I generally keep about 5 – 10 laying females and we tend to eat any spare males at 6 – 8 weeks old. 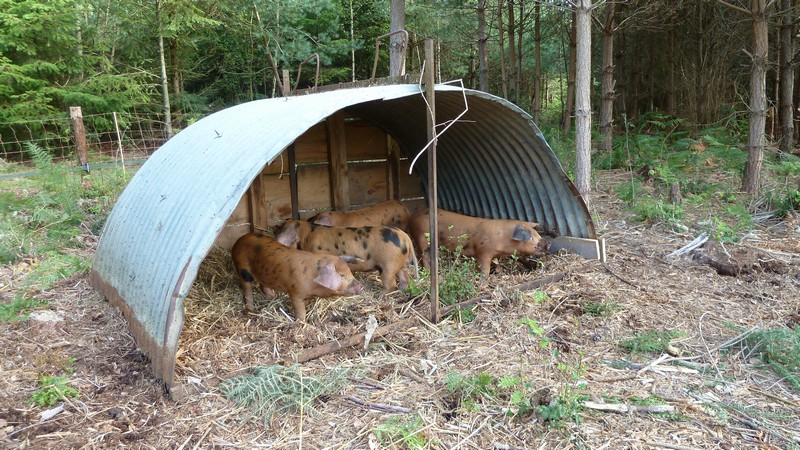 Our pigs are kept on a friend’s land nearby which is being restored back to heathland from commercial forestry. 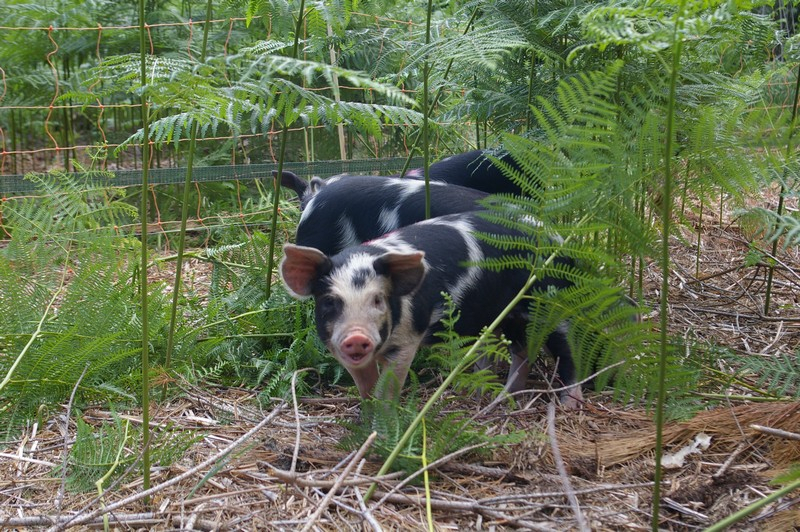 They live on the edge of a cleared area giving them a woodland edge habitat with bracken and scrub to browse on much as they would choose in the wild. They have plenty of rooting to do which will benefit the heath restoration by exposing the latent seed bank of desirable plant species such as heather and bilberry and hopefully destroying some of the invasive bracken roots too. 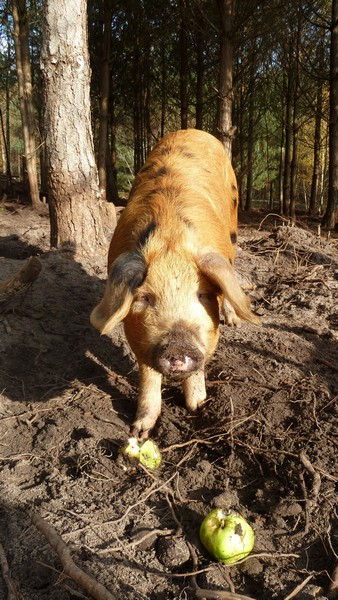 We keep traditional rare breeds that mature slowly and are ideally suited to living outdoors in a woodland setting. 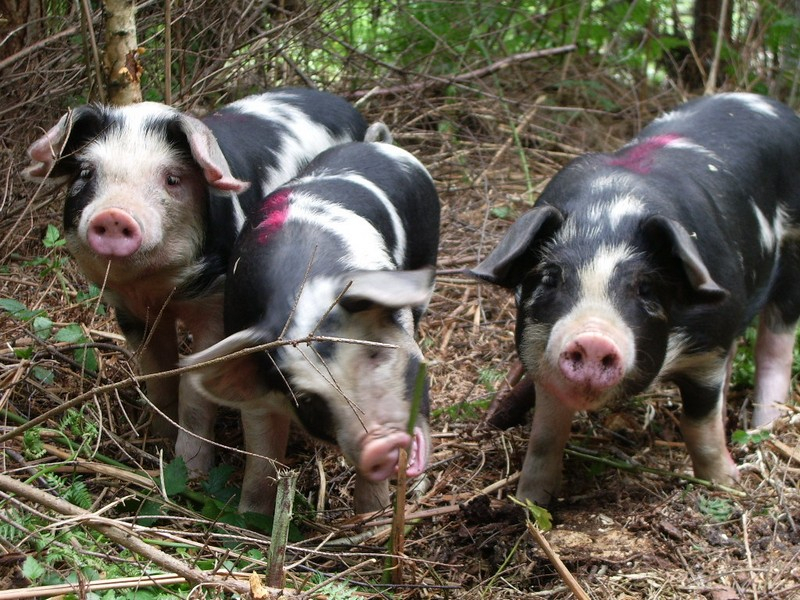 Raising rare breed pigs for meat is a valuable part of the breed’s survival; more pigs are bred to meet the demand for meat and the best piglets of each litter are kept on for further breeding. 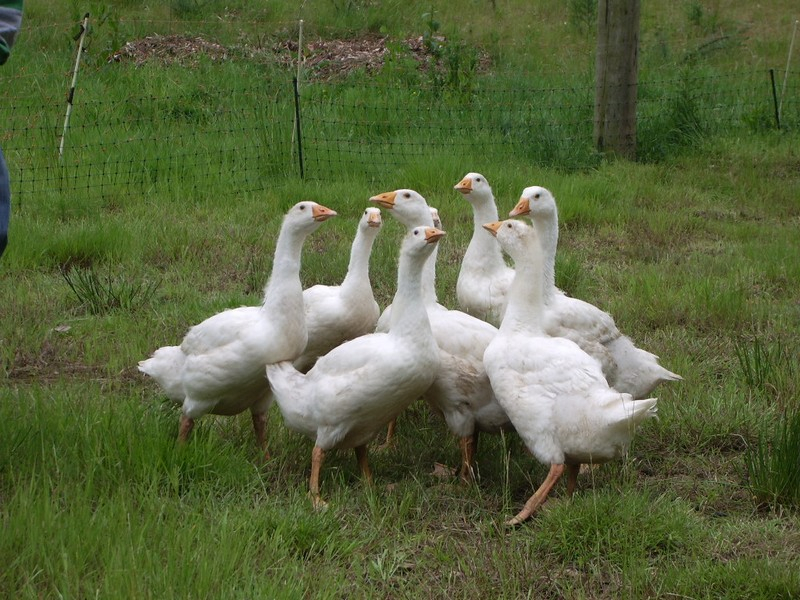 In early 2012 we decided to raise some geese for Christmas dinner. 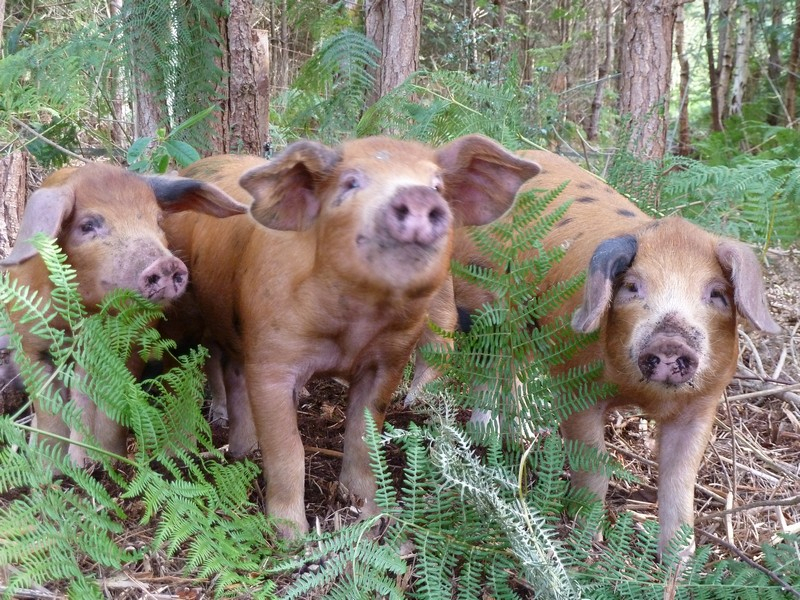 We chose Embdens who grow to a good weight and are easy to handle. 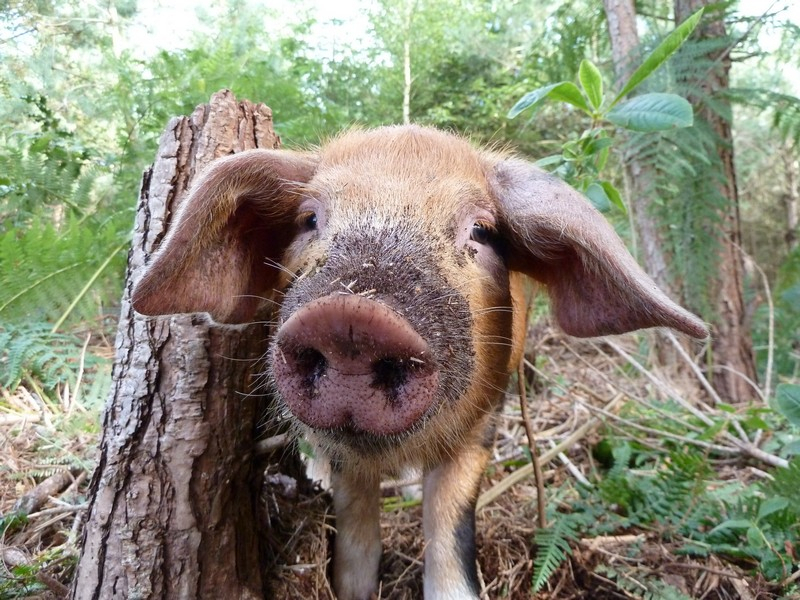 They live in the orchard on the same property the pigs are, where they act as lawn mowers and keep everyone entertained; they love nothing more than following people around chattering away! We have built them an earth sheltered Teletubby style house to keep them safe from the fox at night should he decide to scale the perimeter fence. 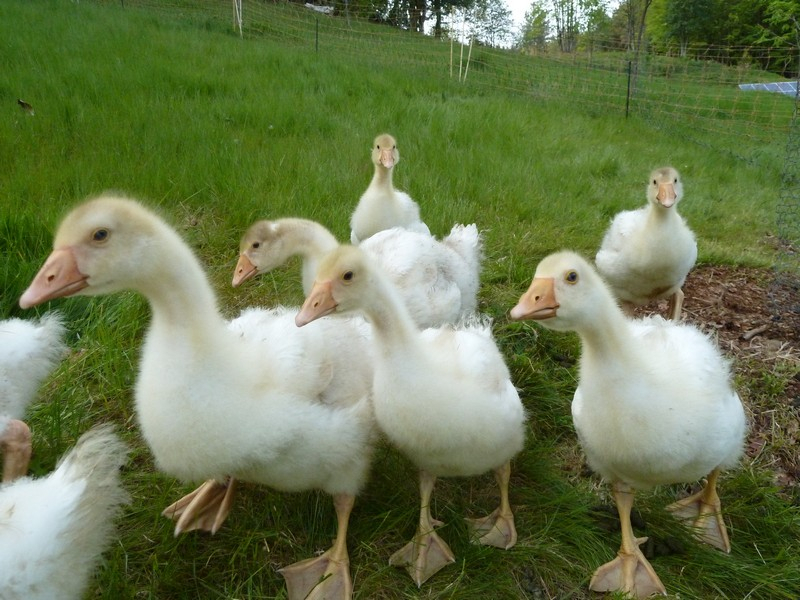 The Geese were so happy they decided to raise a family all by themselves! Great for future Christmas dinners..